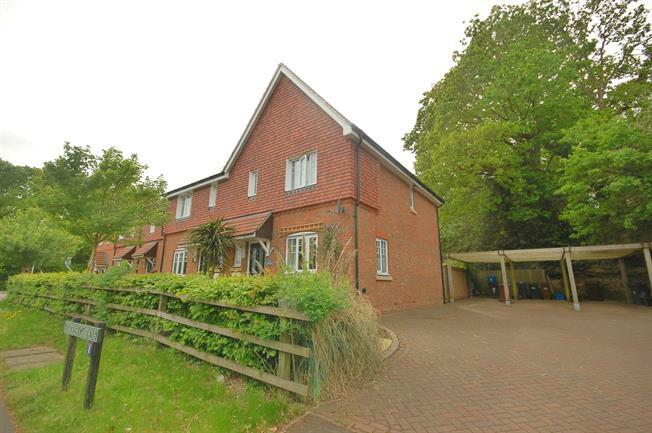 3 Bedroom Semi Detached House For Sale in Uckfield for Asking Price £337,000. Spacious three bedroom family home situated to the south of Uckfield town centre. Entrance hall with downstairs toilet, leading to double aspect lounge, and kitchen/diner overlooking the rear garden. To the first floor there are two double bedrooms, master with ensuite and an excellent range of fitted wardrobes and a third good size bedroom looking over garden. Family Bathroom. Rear garden with patio area and off street parking.